This year’s conference was a great success, with more than 900 attendees and the largest number of total sessions and concerts ever offered at a NATS national event. 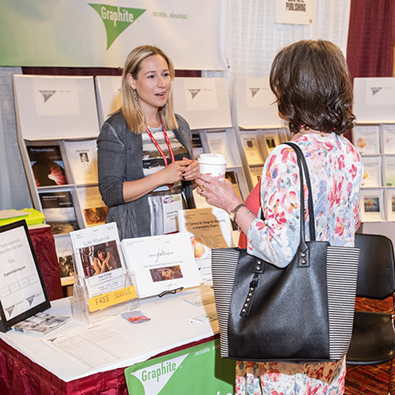 With more than 900 attendees and the largest number of sessions and concerts ever offered at a NATS national event, the support of our sponsors, exhibitors, and advertisers is what made the 55th National Conference possible. NATS depends on our sponsors, advertisers, and exhibitors to help support the important work at our conferences. Without their participation, NATS could not present the excellent program of master classes, performances, and student competitions, in addition to the College Showcase, Exhibitor Showcases and other learning opportunities available. Save the date for our 56th National Conference in Knoxville, Tennessee, June 26 - 30, 2020, at the Knoxville Convention Center. Information about advertising and exhibiting at the Knoxville Conference will be coming soon.